Things we have designed and produced for our clients which we are proud of. 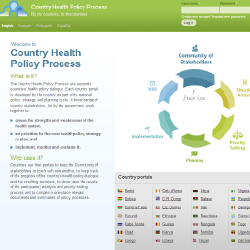 An online database and file repository that stores country profiles and health sector financial statistics information along with national planning cycles and technical activities that WHO member states perform. It also records health grants that are managed by NGO's all over the world and produces reports based off of this information for knowledge sharing and collaboration. This project originally was a Software as a Service database and was migrated to a fully customizable Drupal 7 site. It has public and private sections with content editors based in several countries all over the world. 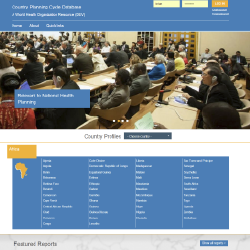 The World Health organization asked for a Drupal web application to allow for knowledge management, policy dialogue, community and capacity building on different health systems information for multiple countries in the African and Asian regions. The site included cmplex infomation structure and taxonomized data that needed to be imported into the system. This was a multiyear project where we provided requirements gathering,software design and development, testing, implementation, training, community management, technical support and consultancy on site for over 30+ country implementations. 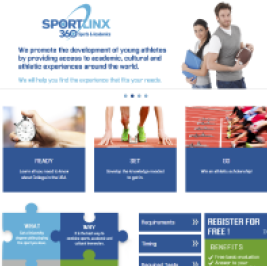 Sportlinx360 needed a website portal and a backend system as an integrated product to be more effective in their day to day opertaions. We therefore built a Drupal application that serves as a portal for student and colleges to interact regarding sports scholarship information. This was a trillingual site which allowed the client to translate its content with minimum overhead thus being able to reach different audiences all over the world. Several clients in Europe and South America have come to us for help in developing training content and e-learning modules for online courses. 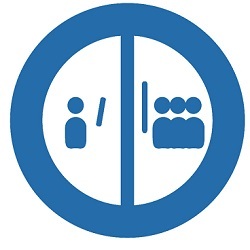 This way they have saved costs and shortened distances and travel time by delivering internal business training and IT skills training directly on the web through web conferencing and virtual classrooms.We have assisted our clients with web conferencing implementations and content development for IT courses in several areas. We have also developed recorded classroom training for asynhcronous usage and repeated playback whenever users can find time to use the material. Time Capsule project for the government of Buenos Aires Argentina involving Research and Development (R+D) for 200+ year data persistency of society testimonials captured on digital media. 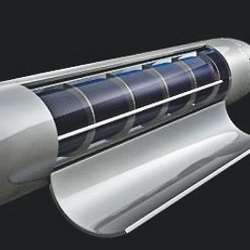 This project involved nanotechnology usage, data archiving processes, software development and multimedia asset management. 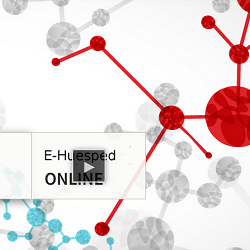 Massive Open Online Course platform developed for an HIV/AIDS NGO that needed to provide high quality e-learning to hundreds of professionals all over the world. We implemented an E-Learning platform, produced content for classes and provided training and consulting during rollout. 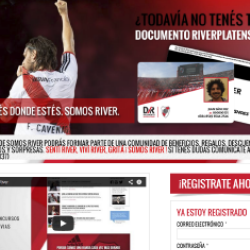 Official soccer team site for one of Argentina's biggest and most successful soccer team. Site members could access customized content, team footage, obtain tickets and win gifts and prizes. The project also involved external data repositories and payment gateway functionality. The site was built on the Drupal 7 Content Management System.